Walking is an everyday activity that most of us do on a regular basis. We walk to do many different things, such as go around the neighborhood, complete our house chores, relax at the park, or shop at a local store. For those who take walking more seriously, they do it as a part of their fitness routine. But whatever your goal is for walking, it is important to have the best walking shoes for women. Well, it’s true that you can also do most things without shoes. But this practice will never allow you to walk far; and if you do it repeatedly, it can have detrimental effects on your overall health. If you wear the right shoes for walking, you will not only enjoy the walk, you can also ensure that your feet and body are protected. Walking shoes can be one of the most important items you’ll ever have. Know your arch type. The first step to finding the best walking shoes for women is knowing the shape of your arch. A simple wet test can help you do this. Dip your foot in water and put it on a piece of cardboard. If your footprint reveals almost your entire foot, you have low arched or flat feet. If your footprint shows approximately half of your feet in the mid-section, then you have normal arched feet. And if your footprint only reveals your heel and ball-of-feet with very little in the mid-section, then you have high arched feet. Choose the kind of shoe that is designed for your specific arch type. Determine your shape and size. Keep in mind that shoes also come in different shapes and sizes. The right one should fit perfectly and feel comfortabe. No matter how popular or how good it may look, it will never do any good if it doesn’t fit to your unique foot. It is very important to know your feet’s shape and size, and find the one that suits you best. The right shoes should fit comfortably with enough room for your toes to move without pain and discomfort. You should also be able to bend and twist your shoes; otherwise, you’ll end up with numb toes, painful heels, and other problems. Designed by one of the most popular brands in the shoe industry, this Skechers GO Walk Slip-On Shoe is definitely an excellent buy. It’s great for women who are always on-the-go. It has Go-Impulse sensors that allow you to interact and respond with any surface, resulting in a more enjoyable walking experience. Its Resalyte cushioning provides comfort and additional protection and the Ortholite insole helps inhibit odor. Plus, it’s lightweight, stylish, easy-to-wear, and definitely durable. Style and comfort – this is what this Ryka Dash is all about. This sleek offering from Ryka provides everything you need for walking. Whether you’re speed walking, running on a treadmill, or simply strolling on the street, this pair of walking shoes is what you need. It is specially designed with mesh panels to let your feet breathe. Plus, it has high quality padded foam for extra comfort and support. The rubber outsole provides additional traction and flexibility. Lightweight, comfortable, sturdy, and affordable – all these things can be found in ASICS Women’s GEL-Quickwalk 2 Shoe. When it comes to fitness shoes, you can never go wrong with ASICS. They’re one of the most popular and trusted names in the industry providing high quality, comfortable footwear. This second generation of their Gel-Quickwalk shoe carries a superior cushioning system for maximum comfort, mesh panels for breathability, and traditional lace-up closure for a perfect fit. Another big name in the shoe industry is New Balance. Simple yet durable, this WW577 walking shoe from New Balance can be your best-friend for a light to moderate walk. It is uniquely designed with toughness on the outside and comfort in the inside. The leather upper also offers breathability and it has the traditional lace-up closure for a snug fit. This great shoe also features reflective detailing for additional visibility and a high-performance outsole for a maximum walking experience. Another great offer from the ever popular New Balance is this WW665 walking shoe. Whether you’re just walking at the park or running to stay fit, this wonderful shoe has got you covered. This New Balance walking shoe is perfectly designed for fitness walkers. With its athletic style and breathable body, this shoe provides all-day comfort and functionality. The Walking Strike Path technology gives your foot additional support and balance. This fashionable walking shoe from Easy Spirit is perfect for walking and light running. It is specially designed with classic lace-up closure that ensures an adjustable, comfortable fit. The leather upper is durable and breathable, and molds to your feet well. It also features a removable padded sockliner for extra cushion and shock absorption. If you’re looking for a great walking shoe to coordinate with your active wear, this can be a great pick. Whether you’re looking for a walking or running shoe, you’ll be extremely confident with this ProGrid Integrity ST2 Shoe. This amazing footwear features all you need, so you can go anywhere with ease and satisfaction. It has responsive cushioning that ensures comfort in every step. It also has Forefoot Stretch Zone technology that provides additional comfort to your forefoot. Its patented ProGrid and Walk Trac technology deliver great shock absorption and solid grip. This Integrity ST isn’t just stylish and comfortable, but also built to last. This shoe is another perfect option if you’re looking for lightweight, comfortable footwear. It is designed with breathable mesh, comfortable cushioning insole, lightweight EVA midsole, and rubber outsole. The style looks great and suits most outfits. Simple with function – this is what this Mesh Slip On Shoe is all about. It’s actually designed to help you maximize your walking experience. It’s so easy to wear and offers great comfort and support to your foot. It has mesh panels to let your foot breathe and soft cushioning to give your foot additional comfort. The best thing about this footwear is that it can be used even in a wet environment. It has ComforDry and Water Grain technology that keep your foot dry and safe even in wet, slippery conditions. 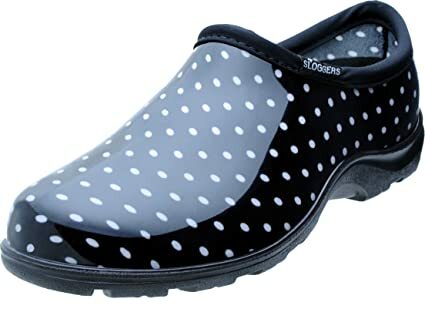 If you’re looking for a great shoe with high comfort and function, then this Rain and Garden Shoe is an excellent choice. As the name suggests, this shoe is great for outdoors, whether you’re walking at the park, doing some errands, playing under the rain, or working in your garden. It’s completely waterproof. It carries their signature “All-Day Comfort” technology that ensures comfort and great traction even in wet and muddy environment. It Promotes a Strong Heart. When you walk on a regular basis, you decrease your risk of developing heart disease. Research says that if you walk for at least 30 minutes a day your can lower high blood pressure and minimize your risk of stroke by 27%. Boosts Your Vitamin D Levels. Walking in sunlight may raise your body’s level of Vitamin D. Vitamin D is a nutrient that is difficult to receive from food. Exposing your skin to the sun is the best way to soak up this vitamin. It Makes You Happier. Studies have shown that walking on a daily basis can act as an antidepressant. Because your body is releasing natural endorphins, it can help with mild signs of depression. Walking can also be a social activity; organizing walking groups or walking with friends may cast out feelings of isolation and loneliness. It Gives You Energy. Walking boosts circulation in the body and it enhances your oxygen supply to each cell in your body. In addition to providing you with more energy, you will also feel more alert and alive. It Keeps Your Weight in Check. If you are seeking to achieve, or maintain a healthy and ideal body weight, walking is a great place to start. Studies have shown that you can lose more calories when walking for 30 minutes than spending an hour on the treadmill in the gym. These are some of the best walking shoes for women you can find in the market. Don’t be afraid to try some pairs in order to get the best shoes for you. Keep in mind that having the right walking shoes is extremely important as they help you improve your overall health.